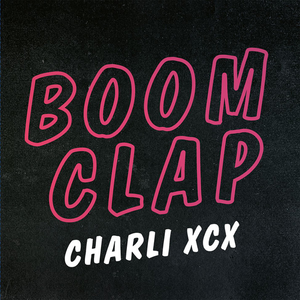 "Boom Clap" is a song by British recording artist Charli XCX, released as the first single from the soundtrack album of The Fault in Our Stars (2014) and is also featured on XCX's second studio album, Sucker. The accompanying music video for "Boom Clap", directed by Sing J. Lee, was filmed in Amsterdam and premiered on 2 June 2014. It features a new master of the song with slightly different production, which was released as the main single version in the UK, and on the Sucker album. The video features brief clips from The Fault in Our Stars set to the song as well as on-screen text written in the style of the book cover and film poster. A "Tokyo version" of the music video was later released. The alternate version, filmed in Tokyo, features a similar theme to the original video; following Charli around the city while "Boom Clap" plays, but does not include clips from the film or on-screen text as the original does. Charlotte Emma Aitchison (born 2 August 1992), better known by her stage name Charli XCX, is a British singer and songwriter.